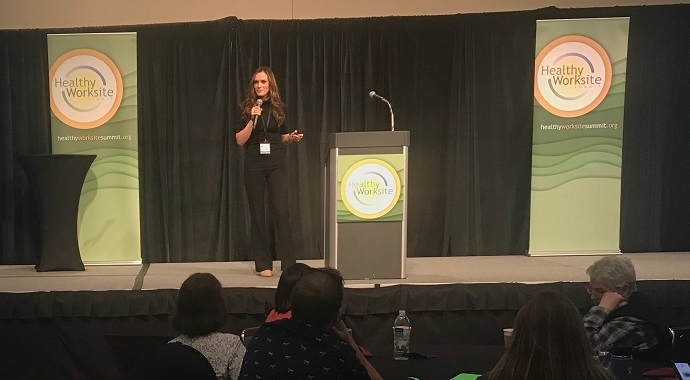 Recently, Chera delivered a keynote presentation at the 32nd annual Healthy Worksite Summit, which took place in Lynnwood, Wash., and is the state’s largest health and worksite wellness conference. The event was presented by the Association of Washington Cities (AWC) Benefit Trust as well as other partner organizations—Health Promotion Research Center, American Heart Association and the Dairy Council. Chera wrote a full reflection on her personal story, resiliency and the keynote experience, which is posted on her personal LinkedIn page. We also covered the event on our Regence BlueShield Twitter page.